Giving help to and getting help from local law enforcement was the main topic of the first meeting held Wednesday for a new Neighborhood Drug Watch in the City of Butler. About 40 people attended Wednesday’s meeting inside Butler’s Public Safety Building. Former city councilwoman Kathy Kline is leading the effort and organized the meeting. The city police department has set up an email account where residents can leave information about drug dealing and other crimes if they aren’t comfortable calling 911. The email is communityrelations@butlercitypd.com. Reports of drug activity can also be made to the Butler County Drug Task Force by calling 1-800-END-DRUGS. 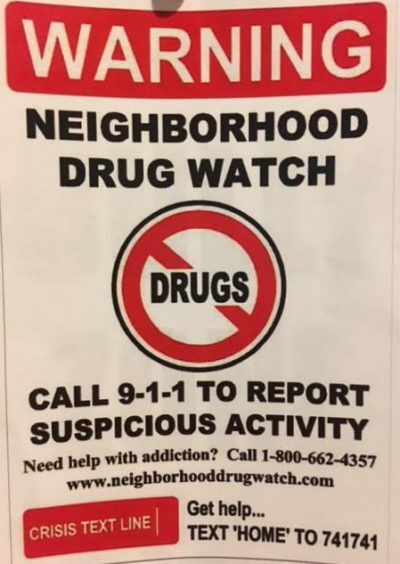 The Neighborhood Drug Watch movement started in Butler County with a goal of educating, helping with recovery and assisting law enforcement. Members of Butler City Council and Butler County Commissioner Kevin Boozel attended Wednesday’s gathering. The next meeting of this group is not yet scheduled. The group will likely meet every other month or quarterly. Visit the Neighborhood Drug Watch Facebook page for more information.